Scenario: The Detective Boys watch as a sniper shoots a balloon by the river. Later Conan sees the sniper held at gunpoint by other men. 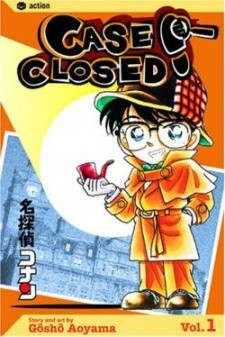 When the Detective Boys gets there, the gunmen have left, but Conan finds the numbers 3540405162 on a calculator the sniper left behind. They call the police and find out the sniper, Charles Mulligan, and his wife, Erin Mulligan, were recently reported missing. The message is broken when Conan turns the calculator upside down to discover the actual code. The code reveals that Charles is going to shoot someone on the Shoho train on the 29th at 1:00pm. 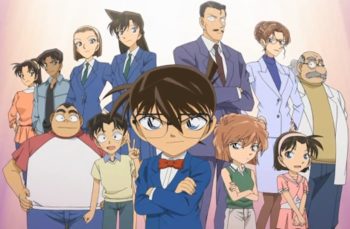 Conan and the police manage to track the sniper down and rescue him and his wife. The men holding Charles hostage were part of the Tiger Dragons gang and wanted to assassinate the prosecutor, for arresting their leader.